Hazing is a crime and inconsistent with the values of Delta Tau Delta. In fact, our by-laws specifically prohibit this sensless and cruel behavior. or failure to accord to any pledge or initiated member the dignity due him as a man, commonlyreferred to as "hazing," is strictly prohibited, and perpetration thereof by a chapter or anymember shall be deemed conduct detrimental to the best interests of the Fraternity and conduct unbecoming a member of the Fraternity. At Delt Tau Delta we support an Anti-Hazing Hotline. 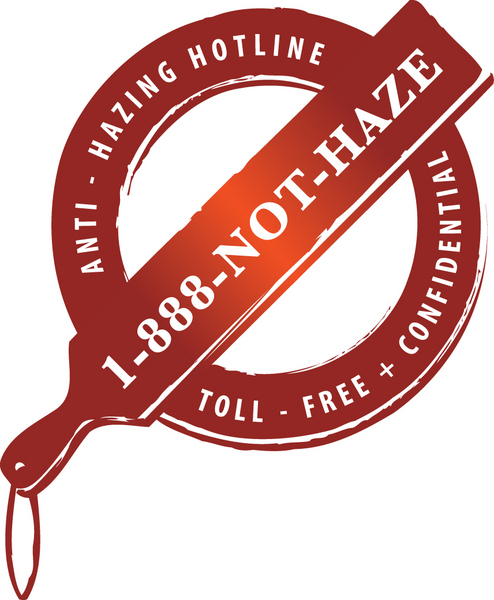 If you or anyone you know has been involved in a hazing incident, please contact our toll free and confidential hotline at 1-888-NOT-HAZE. Please see our Anti Hazing Flyer.